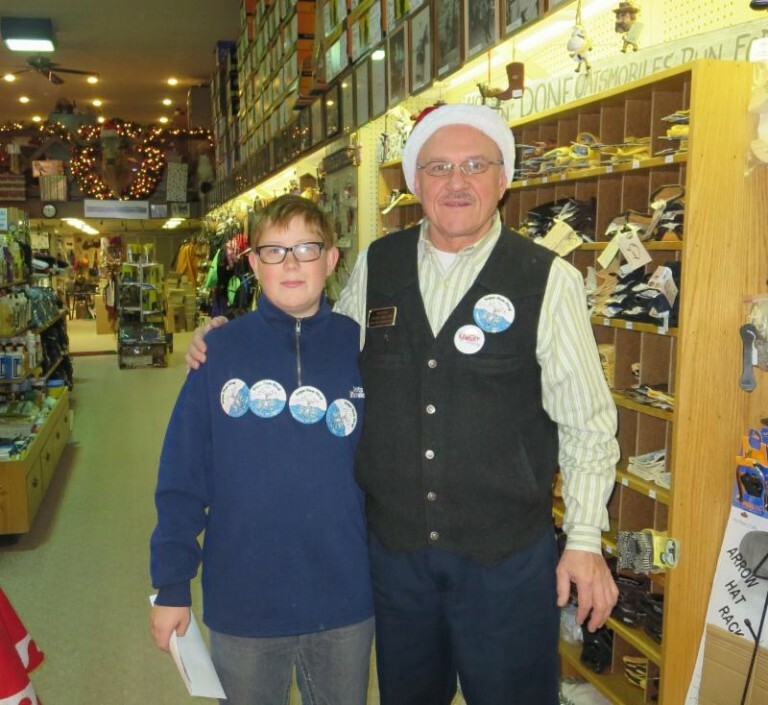 The Stroll elves were out at participating businesses last Saturday, December 6, looking for shoppers wearing a Stroll button. And they “caught” 11 of you! 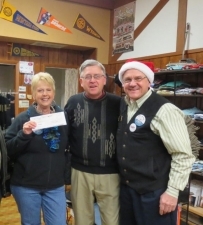 Pictured above, left: $250 winner, Diane Hobson, who was caught shopping at The Men’s Shop, shown here with owner John Day and our elf. Pictured above, right, $25 winner Michelle Terry, caught shopping at JCPenney. 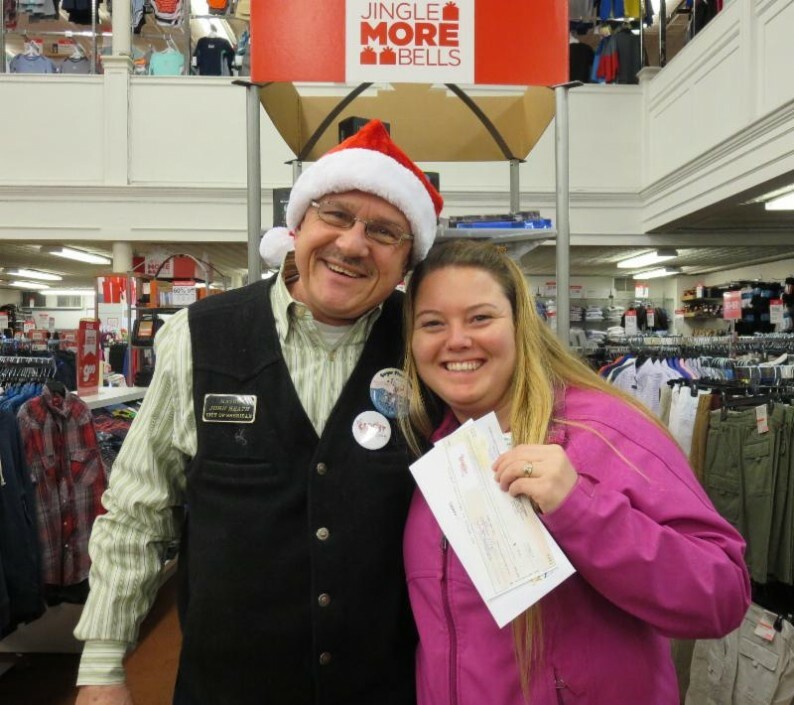 Pictured left: $50 winner Josh Thayer, caught shopping at King’s Saddlery (wearing FOUR Stroll buttons). Our elves will be out again on Saturday, December 13, and Saturday, December 20, 10 am to 4 pm. And it could be YOU who Gets Caught Shopping! You can also follow the happenings on our Get Caught Shopping Facebook page!